When you need a well made and comfortable branded training shirt for your sports club, you can’t go past the men’s Competitor Singlet. With plenty of potential for branding and sponsorship advertising, and made from 100% yarn treated Cool Dry jersey fabric, these singlets will move with you whatever activity you’re doing. Available in six bright block colours, available from sizes small to 5XL, which means you can fit out your entire team with no problems. 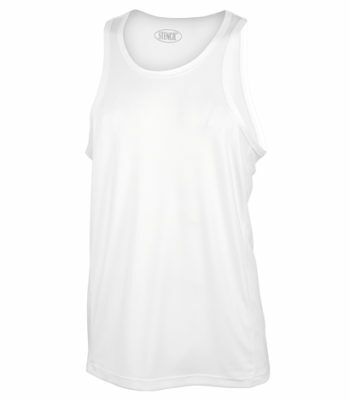 With a UPF50+ rating, these singlets are great for indoor or outdoor sports options, and with a screen printed or embroidered logo, you’ll find something to suit your requirements. Team the branded men’s Competitor Singlet up with the ladies competitor singlet for a great overall look for your sporting association.